A brand-new cover on this bestselling book (over 200,000 copies sold!) will capture the attention of readers. Countering media messages that say happiness equals being in relationships with men, Michelle McKinney Hammond encourages singles to get busy living a life that blesses others and enriches their single experience. 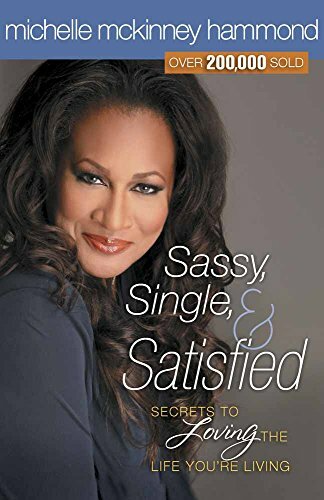 Packed with lively stories, wisdom for handling real-life situations, and a host of secrets for living life to the fullest, Sassy, Single, and Satisfied gives readers insights on life, love, men, happiness, and God’s love for them.